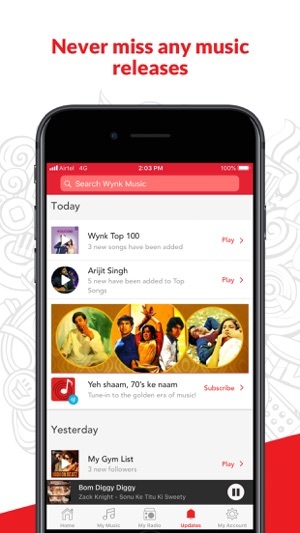 Wynk Music is a music streaming & downloading app, for every mood! From Rahman to Rihanna, it has over 2.8 million songs spanning Indian and International music. 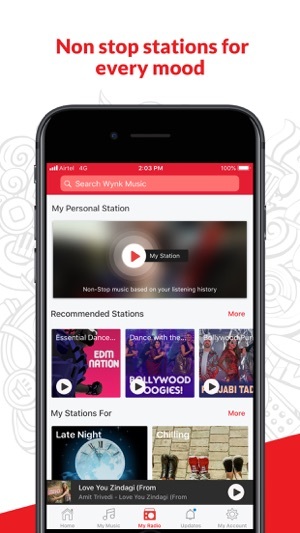 Stream & download songs on Wynk Music app & discover music from its huge library covering a host of genres including Bollywood, Pop, Rock, Bhangra, Devotional, Bhajans, Happy, Sad, Romantic, Party, Chill, Love & Old retro. Also, get access to music in Regional languages such as Punjabi, Bhojpuri, Rajasthani, Marathi, Bengali, Kannada, Gujarati, Tamil, Telugu, Malayalam & all other South Indian languages. In summary, we have music for all tastes! 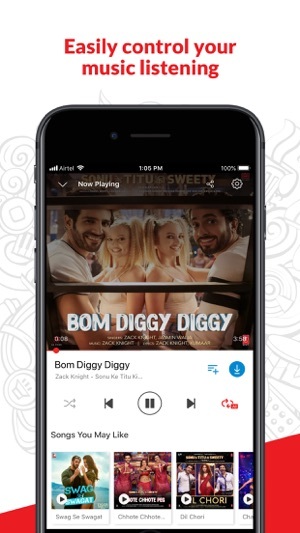 Stream and download unlimited music from our huge variety of playlists curated especially for you or create your own playlist. For those who like to just sit back and relax while listening to music, we've got Radio stations to choose from. Enjoy latest Bollywood hits from movies such as Befikre, Kaabil, Udta Punjab, Azhar, Housefull 3, Prem Ratan Dhan Payo, Bajrangi Bhaijaan, Bajirao Mastani, Dilwale, Airlift, Badlapur, Shaandaar, Fan, Roy, Baaghi, Queen, Kapoor & Sons, Ki & Ka, etc. Find all the latest Hindi songs such as Kar Gayi Chull, Sanam Re by Arijit Singh, High Heels Te Nachche, Bolna, Soch Na Sake, GF BF, Jabra Fan, Ji Huzoori, Gerua, Sab Tera, Buddhu Sa Mann, Let s Nacho, Rock Tha Party, DJ Waley Babu, Deewani Mastani, Rehnuma, Manma Emotion Jaage, Wajah Tum Ho, Wakhra Swag feat, Kheech Meri Photo, Malhari, DJ Bravo Champion. 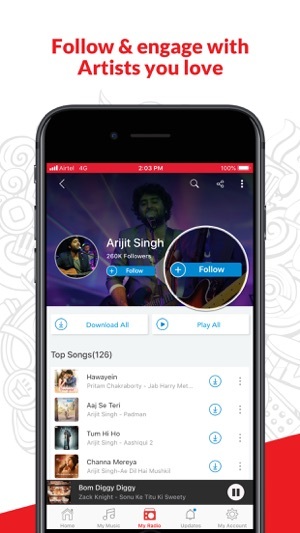 The catalog ranges from international artists such as Enrique Katty Perry, Lady Gaga to Arijit Singh, Yo Yo Honey Singh, Atif Aslam, Shreya Ghoshal, Armaan Malik, Lata Mangeshkar, Badshah, Mohammed Rafi, Mukesh, Sunidhi Chauhan, Sonu Nigam. 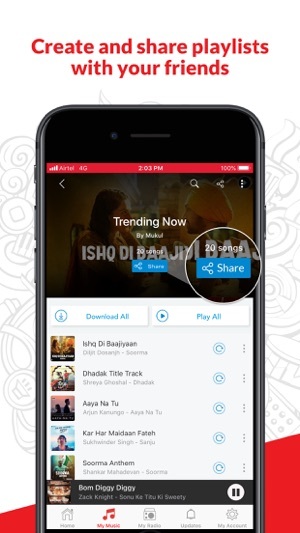 Listen to popular songs of Bollywood stars like Deepika Padukone, Shahrukh Khan, Ranbir Kapoor, Katrina Kaif, Akshay Kumar, Salman Khan, Varun Dhawan, Priyanka Chopra, Alia Bhatt, Ranveer Singh, Aamir Khan, Amitabh Bachchan, Hrithik Roshan, Katrina Kaif. 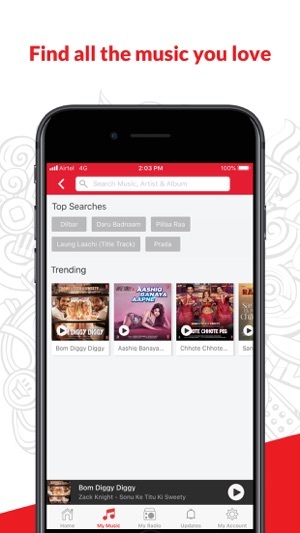 Subscribe to stream unlimited music, get unlimited songs downloads and enjoy music offline without data charges. Guess what, you get Wynk Music subscription with Airtel data plans. 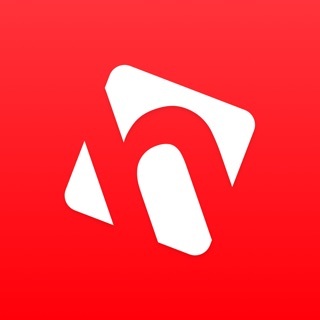 - Once subscribed, you can download unlimited songs in-app and play them offline. - Subscription automatically renews every month unless auto-renew is turned off a least 24 hours prior to expiry of current subscription period. - You can turn off Auto-renewal from ‘Account Settings’. 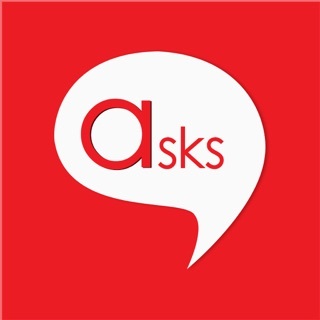 For more information refer to FAQs in the ‘About Us’ section. Wynk is Better. Stronger. Faster. 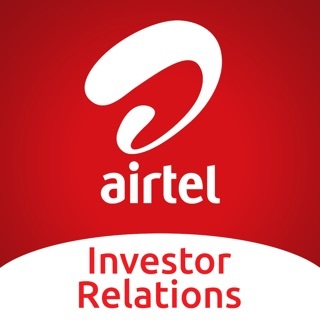 The update has various bug fixes and performance improvements to make your listening experience seamless. Allow us to extend a helping hand by reaching us through 'contact@wynk.in' and hopefully we can find a way around this. There have been many a glitches lately in the app and it’s really annoying. The downloaded songs should appear in the order according to how recently they were downloaded but they show up in random order and that becomes hard to access the songs that I’ve recently downloaded. Apart from that when I scroll down the list of my downloaded songs it starts to haphazardly scroll down by itself and won’t stop as if stuck in a loop and the same songs keep repeating on the screen which is really annoying if I want to find a particular song. Also the search option won’t show the song I’ve already downloaded until I switch on my net. It’s a humble request to the developers of the app to take a look into these matters and try to improve on it so as to improve the user experience and the app performance. It would be great if there were some much needed fixes soon. Thankyou. The app has been really good. I liked it. The only issue I wanted to talk about is the songs disappearing automatically from my downloads. Yes, it seems ridiculous but it happened a couple of times. Had to search for those songs and download them again. And the queuing of songs is another problem. Like, you need to clear the songs played previously to start listening to new songs, else the songs of the previous queue would be played. Apart from that, everything is okay with this app and I really recommend people to use this app. I would also love to see further improvements in this app like display of lyrics when a song is being played(just like the Musixmatch app). I would really give a 5 star rating if that option existed in this app. 1. Few sample songs which are removed. 2. Screen shot of Downloaded & Unfinished Downloads lists in "My Music" section. 3. The date from when the songs are removed. 4. If you reset app or factory reset device or uninstall app or cleared data from settings? 5. If you have apps like Clean Master that clears stale data of the apps to free space on disk?